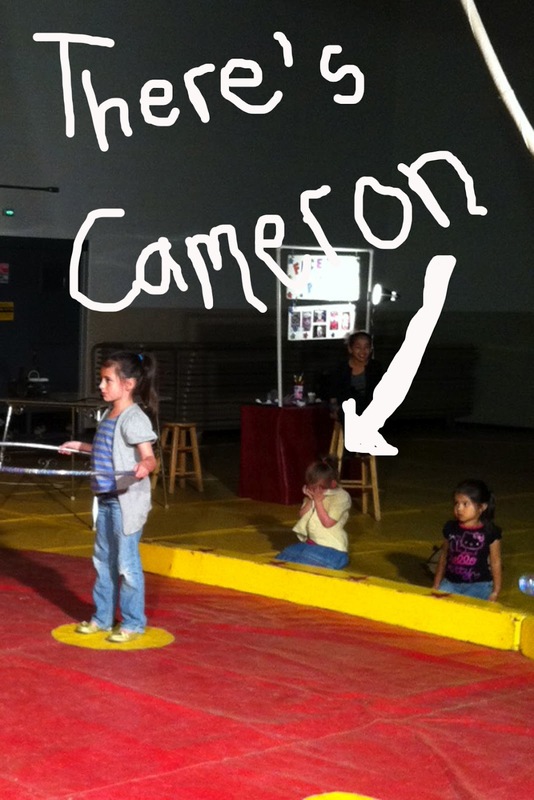 Every now and then, a small family-operated circus will pass through our town. Barnum and Baileys it is not, but it is just down the street, relatively inexpensive, my kids get to sit ring side - they love it. AND they get to participate. Hadley was plucked from the crowd by the clown-in-charge to take part in a hula hoop contest with some of his cohorts. 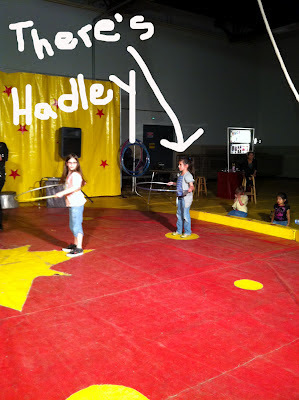 Hadley, who can be shy when faced with big crowds, surprised me when she took part and seemed to enjoy it. This was quite a milestone for her, and I hopped up to take a picture. I was really proud of her for getting out there! Cameron absolutely lost her sh*t because she was not chosen to participate. She spent the rest of the circus sobbing and shooting dirty looks at the clown who her ignored her pleas to hula-hoop. This experience has "ruined her life." Perhaps she had a secret hula hoop talent she was hoping to expose, or maybe she had plans to join the circus and all of her life's dreams are, in fact, ruined? I'm quite certain that a seed of psychological damage was planted here - a favored sister, an evil clown.......a hula hoop. Look for the damage to manifest itself in a few years when she's dressing as a clown and smashing all the hula hoops in town.